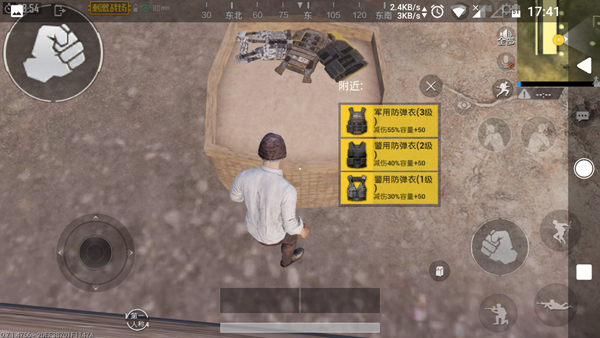 In “PUBG Mobile: Stimulating the Battlefield,” players all the supplies they carry need a certain amount of backpack space support, although we can expand our own capacity through assembly. The size of the backpack, but when the backpack is finally full. 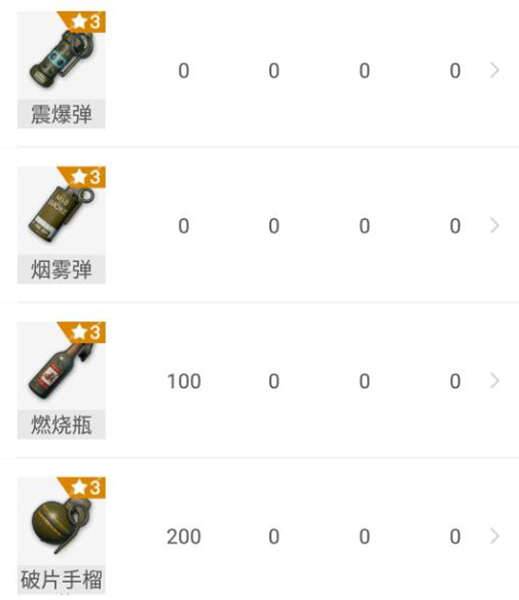 Many players will be difficult to match because of the items in the backpack, and in the case of enemies in the finals or around, hesitating will leave left to the opponent. . 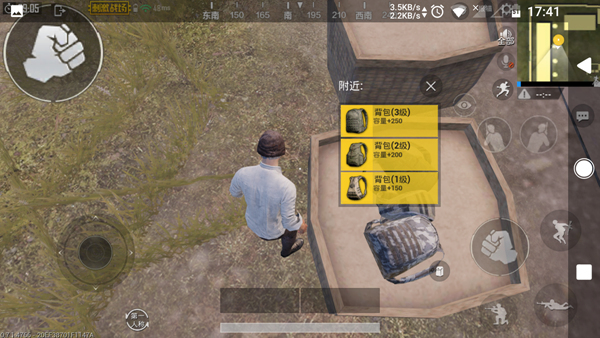 Therefore, in order to reduce the occurrence of such situations, the following gives us an overview of the weight of the items in the game and the distribution of backpack space. Our backpack space consists of three parts: the character’s own space, the body armor space, and the backpack space. .
Supplies can be roughly divided into four categories: medicines, bullets, throwing weapons, and accessories. Because of the wide variety of accessories, I will not go into details here. 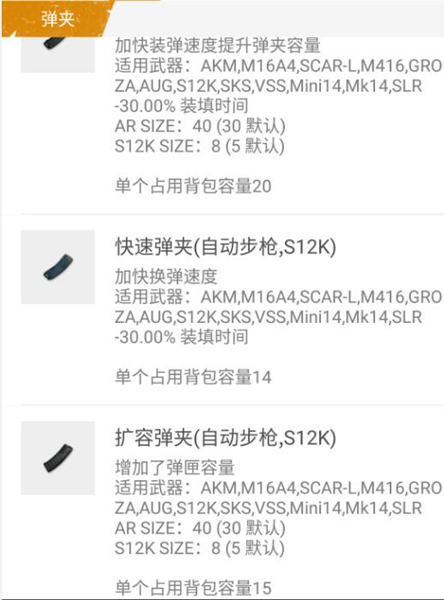 The weight of accessories is generally high, such as rapid expansion of rifles to 20, rapid expansion of sniper rifles for 23 clips and so on. Therefore, in general, help teammates to carry accessories as much as possible to avoid taking up more space. The general situation needs to be reasonable considering its own space capacity The collocation materials. Below we have provided sufficient materials for the premise that we bring the material with the recommended. 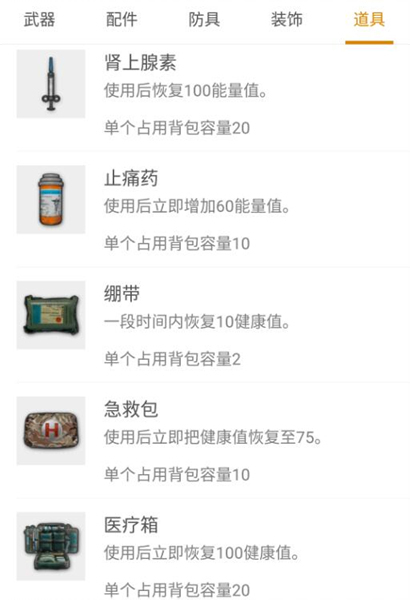 Drug Matching Recommendation: Medical Case 1+ First Aid Kit 3+ Bandage 5+ painkiller 3~5+beverage 6~10 is best. From above, we can see that the medical kit and adrenaline are both 20 occupied, so the general situation is not recommended to bring more. For the same reasoning for painkillers, the effectiveness of the two drinks is greater than that of analgesics. Therefore, if the situation permits, the painkillers can be replaced by drinks in equal amounts. For example, we have one medical kit and three first aid kits. There are 5 bandages, 5 painkillers, and 10 drinks will occupy 150 spaces. 1.5.56 assault rifle + 7.62 bolts: 5.56mm bullets 400 hairs + 50 rounds 7.62mm bullets = 185 space. 2.7.62 Assault Rifle + 7.62 Bolt: 300 rounds of 7.62mm bullets = 210 spaces. 3.5.56 Assault Rifle + 5.56 Shooter Rifle: 5.56 Mm bullet 400 hair = 200 space. bullets is optimally carried, the amount of is different. Under normal circumstances, shooter rifles also need to provide at least 90 rounds or more, and The bolts only need to be guaranteed around 50 rounds. The combination of these bullets and medicines basically leaves little room for a backpack. However, the remaining space naturally needs to carry some throwing weapons such as grenade, smoke bombs and other props to assist in combat. If we use a three-tiered backpack, we expect there will be space around 90. This part of the space will naturally be left to throw weapons to use. PUBG Mobile guide Actual Combat Techniques! Please learn to walk in these ways! 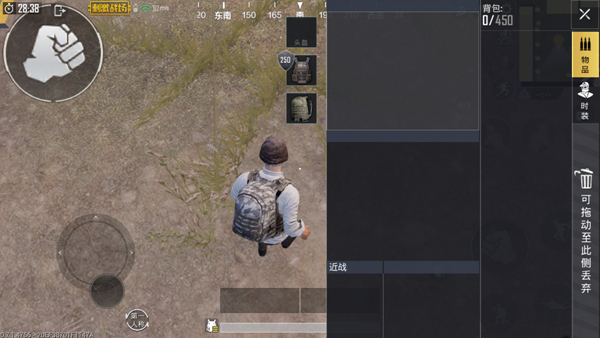 PUBG Mobile guide pressure gun and the sights are so connected! Can not be ignored! PUBG Mobile guide First place in the war mode! Those must know the key link!